Never having bought from American Apparel, I usually wishfully gaze at their on-line shop in hope that one day I could own some of their extortionately expensive clothes. So when it was my birthday, and I received an email off them with a 25% discount code, I jumped at the opportunity to go a little crazy with some of my birthday money. The order took about a week to arrive and cost £4, so it wasn't really the best service. However, when I opened the parcel, I was very happy with the sizing, colours and quality of the clothes. 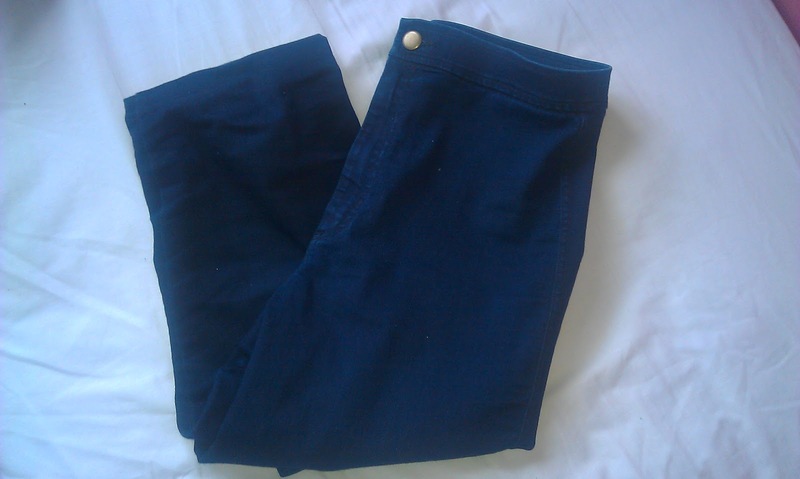 My first item was a simple pair of high-waisted jeans. I have been looking for a pair of nice high-waisted jeans for a while, but always find that there is more than one button, or they are generally ugly, so when I saw these on the website, I was very pleased. They were £64, not including the discount - much more than I have ever paid for jeans. When I felt the material, I was a bit dissapointed because I expected a thick, soft and stretchy denim, but instead, they were quite thin; nice and stretchy, but a little sparse. However, when I put them on, they fitted perfectly and I fell in love with them all over again. I ordered size small, and I would say I am a medium size 10. The second item I bought was this teal silk skirt, and it was only £7 (reduced from £30) without the discount. 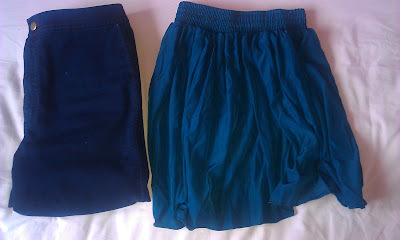 Like I said, I am a medium size 10, but I am also quite tall (5"9) so I didn't know whether the XS/S size I ordered would fit. But it did. 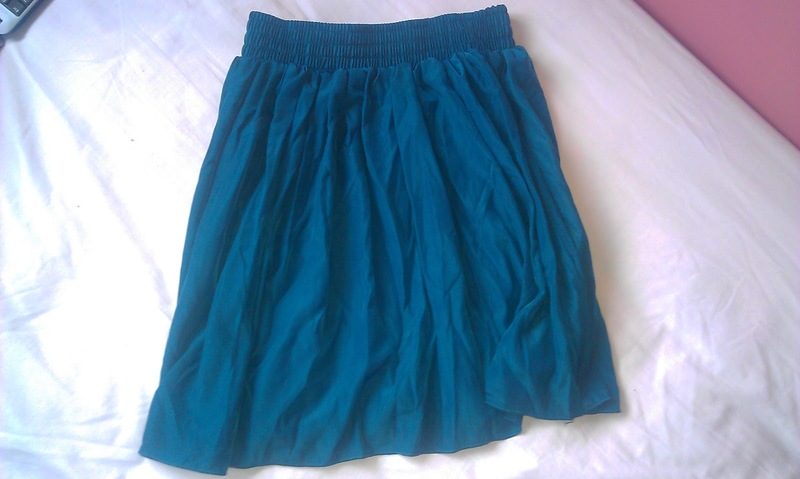 I really like the fit and the colour, but I can tell it is quality because of the strong elastic in the waist band. Overall, I am very happy with the products I got but if there is a store near you, I would reccommend using that, instead of their generally crappy online service. Have you had any good/bad experiences with American Apparel?